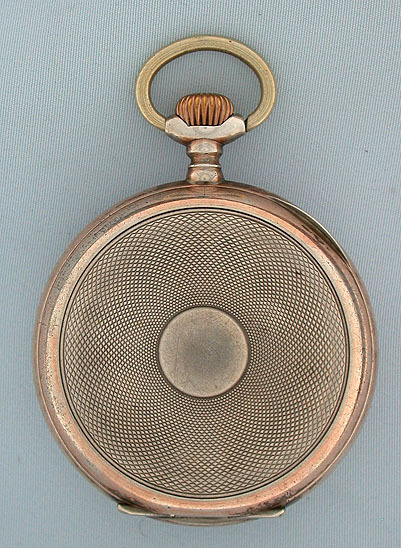 Interesting and very rare Swiss spiral winding .800 silver antique pocket watch by Isaac Grasset & Co., Geneva, circa 1900. This very unusual design does not have a barrel for the mainspring. 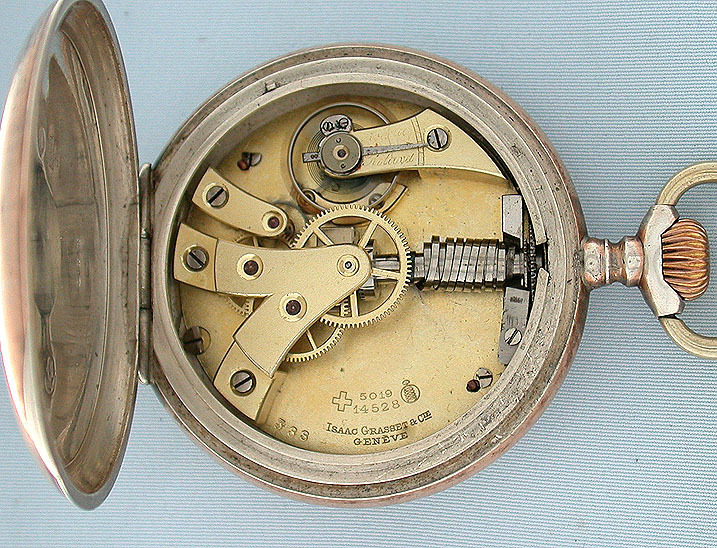 Instead, the mainspring of the 15 jewel movement winds around the stem which is geared directly to the center wheel. The engine turned case with worn gold overlay on the bezels. 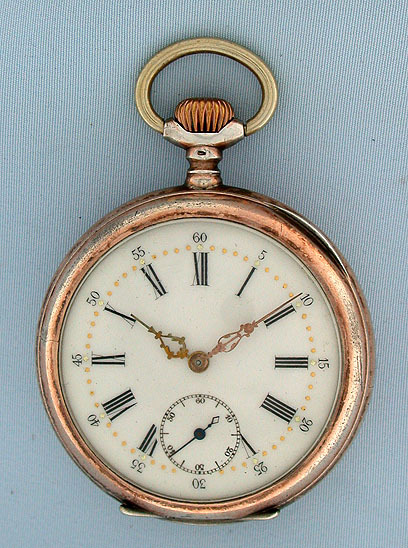 White enamel dial with gold minute markers and fancy hands. This design appears to be an effort to reduce the cost of the movement by eliminating a number of parts. Very few of these watches were made or survived.